India’s largest crowdfunding site. Over Rs.548.28 Crores raised. Menstruation, although a blessing in disguise, in seen as a taboo in many parts of the world. For people living in rural areas, especially, lack of awareness and hygiene makes the sufferings of the menstrual cycle worse. Women need to have proper hygiene and eat and be healthy during their period to live a life of dignity and respect. Truly if a woman is educated, the universe becomes educated. One ought to respect the beauty with which God has adorned women, not only in her physical attractiveness, but also in her pain and sufferings. Menstrual blood is the only source of blood that is not traumatically induced. Yet in modern society, this is the most hidden blood, the one so rarely spoken of and almost never seen, except privately by women. 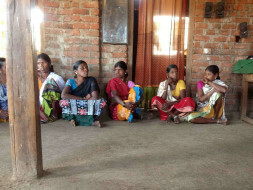 To redefine the standards with which the women of the Nareshwadi village in Dahanu district of Maharashtra are dwelling, especially during their menstrual cycle, the Muskurahat Foundation has started the Period of Sharing campaign to meet their proper requirements and make them feel loved and cared for. 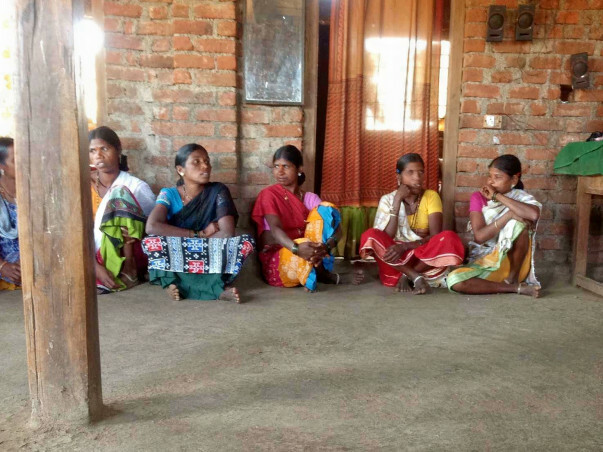 These women are living in the verge of ruining their health and well-being, without any sanitary napkins to soak the blood oozing out during menstruation. Many of them take the help of raw cotton, thin cotton cloth fabrics, or even wild leaves. To ensure that their sanitation and hygiene are not at stake, the Muskarahat Foundation is reaching out to these under-privileged women of our society and distributing them sanitary napkins free of cost, with the help they receive from our part. The Muskurahat Foundation, initiated by an enthusiastic 16-year old Himanshu Goenka in June 2014, is now working collectively to replace sanitary napkins with Menstrual cups for better pay-off. The contributions you make towards this cause would ensure sustainable development of rural women for their sanitary needs. Become a part of this privilege and honour yourself with the Period of Sharing! Media Release of our last project in Maharashtra Times. 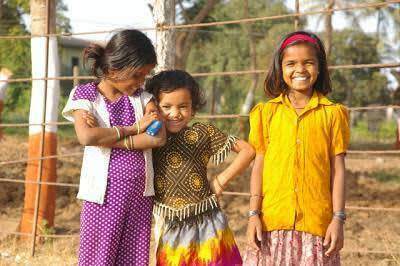 Our work at the village in Dahanu has come to an end. The ladies are very happy and they will lead a better life from now. We have outsourced our operations to CORP to The Plane Jar Foundation. Thank you so much for supporting us. The aim is to raise awareness and obviously funds. Periods are rarely talked about. There is a certain amount of shame attached to it. It's time we make the topic taboo free. I appeal to you all to spread awareness about this. It is very important in today's world. Thank you so much for the love and support. Keep sharing this campaign! Here is a quick update for you. The first consignment is dispatched! We are in process for adopting the menstrual hygiene of a few girls coming from the human trafficking background. We will keep you guys updated on the same.